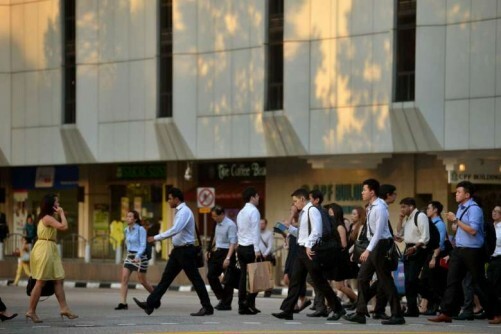 SINGAPORE - Learning opportunities and potential salary were the top two features desired in a job, by tertiary students, when 300 of them were surveyed by STJobs.sg in February. Learning opportunities on the job allow fresh graduates to make up for their lack of work experience, said Ms Ang Yinghui,Senior Product Manager for STJobs. In terms of salary, diploma holders expect a starting pay of between $2,000 and $2,500, while degree holders expect $3,000 to $3,500 the survey found. However, these expectations are above market rates, said Ms Yue Yin Mun, Strategic Accounts Director of Adecco Singapore, a human resources consulting firm. She said that companies are generally willing to offer diploma holders between $1,800 and $2,000, and degree holders between $2,400 and $2,800. However fresh graduates who perform well in their internships or take on specific functions in the banking industry can earn up to $3,500. This is similar to what a search on STJobs.sg found. It showed that the salary range for diploma graduates was between $1,550 and $2,050 while the range for degree holders was between $2,450 and $2,950. Tertiary graduates are also looking for rewards such as travel opportunities and work benefits with half of degree students and more than 35 per cent of the diploma students surveyed wishing to work in multinational corporations. Only 4 per cent of degree students and 10 per cent of polytechnic students were willing to work for start-ups.